Shell Fuels - We Are Fearless | Boldness with backup. Objective: Create a fun, educative and immersive experience enabling Shell Global conference attendees to understand and feel the difference Shell fuels deliver to drivers and their cars. Role: WeAreFearless developed and managed a unique brand experience that humanized the benefits of Shell’s portfolio of fuels through a unique juice bar. WeAreFearless developed the idea, creative and the juice products in partnership with nutritionists and juice specialists. 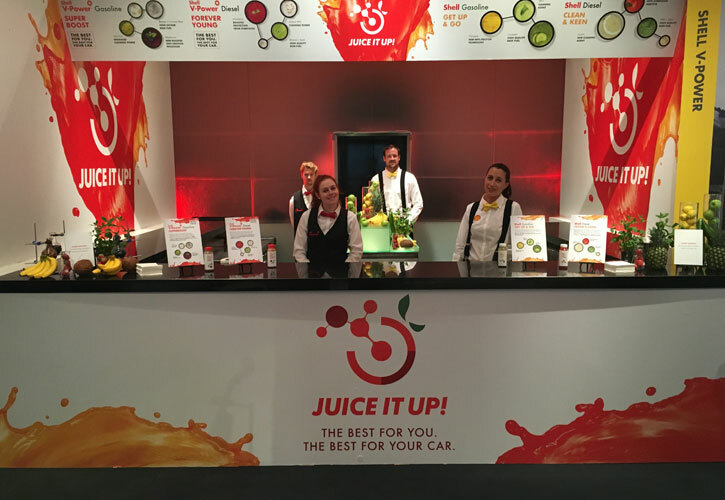 The juice bar offered four bespoke drinks to conference delegates, with each ingredient carefully selected to match the characteristic and benefits of each unique Shell fuel. 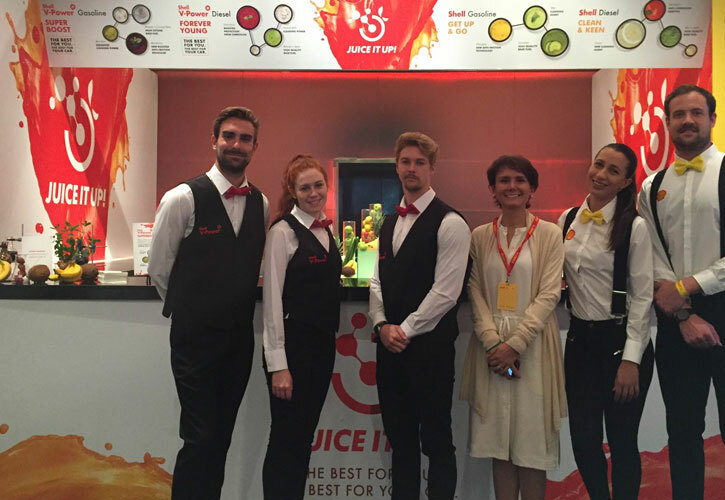 We managed all experiential elements, creative, staffing, logistics, H&S and product sourcing, testing and developing.